Welcome to YOUR best resource for Las Vegas and Henderson Real Estate. My name is Jackie Valiente, leader of Team Valiente. Because of the constantly changing Las Vegas real estate market, it is important to not only have an expert on your side but also a leader in our local market. Together with my experienced team of professional, we have successfully closed hundreds of escrows, and I am proud to be one of the top 250 producing real estate agents in the Las Vegas Valley. We understand short sales can be confusing, overwhelming and nerve racking, but with our supreme expertise, my team and I have successfully negotiated over a hundred short sales leaving our clients in a position for possible future home ownership. In fact, I have been so successful in short sales, with a closing ratio of over 97%, many REALTORS turn to me to handle their client’s short sales needs. We are available should you have any Real Estate questions. WE WANT TO BE YOUR REALTORS! 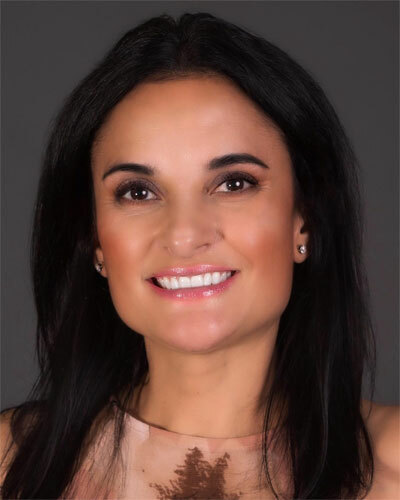 As a buyer’s agent for Team Valiente, Jen DeBough is a licensed Realtor possessing over fifteen years of experience in the Las Vegas real estate industry. Prior to becoming a real estate agent, she worked for a local home builder overseeing the marketing of new home developments and multi-family rental communities. Jen specializes in helping buyer clients through the many steps involved in purchasing a home. She works diligently to establish buyer’s goals and achieve them in an efficient, personalized manner while protecting her client’s interests. Communication between buyer and agent plays a vital role in while representing her clients as she strives to understand their wants and needs in order to make the home buying experience as exciting and stress free as possible. Jen holds a bachelor’s degree in English with a minor in Technical Writing from the University of South Florida. She resides in Summerlin with her husband and their two pugs. She enjoys reading, entertaining, food, wine and working out. She and her husband have been involved with Southern Nevada Pug Rescue for the past 13 years and volunteer as a foster family while rescued pugs are awaiting their forever homes. If you are considering a real estate professional, please give Jen an opportunity to earn your business. You’ll be happy you did! My name is Karla Alailima. I moved to Las Vegas, NV several years ago from Southern California. Although I will always be a “California Girl” at heart, I have no regrets in making Las Vegas my new home! I am a collage graduate and hold a BS Degree in Business Management. I also hold various Certificates in Human Resource Management. I’ve always had an interest in Real Estate. As your professional Real Estate expert, I focus on client satisfaction. My business is about service and I am not happy until you are happy. Whether it's finding you a home or helping you get top dollar when selling your home, I am here to guide you. Hablo Español!